Back in June 2009, it was reported that pop sensation Miley Cyrus had decided to say goodbye to Hannah Montana, the Disney Channel series that made her a star. The word is now official but there’s still plenty to come. 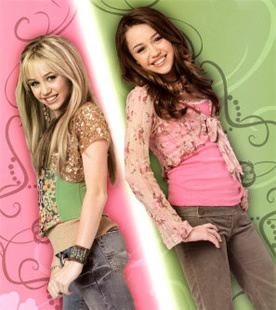 Hannah Montana revolves around Miley Stewart (Miley Cyrus), an average high school student. Unknown to most of her classmates, is also secretly a singing sensation named Hannah Montana. Miley moved from Tennessee to Malibu with her single-father and manager, Robby Stewart (real-life dad Billy Ray Cyrus), and her brother Jackson (Jason Earles). Miley’s family and friends, like Lilly (Emily Osment) and Oliver (Mitchel Musso), are among the few who know Hannah Montana’s true identity. The series debuted on March 24, 2006 and has been a huge success for the Disney Channel. It’s paved the way for several successful albums, a concert, a feature film, and hundreds of related products. But, Miley Cyrus is getting older and apparently wants to move on to do other things. In June, Miley’s father said that season four would be the last for Hannah Montana and commended his daughter for wanting to end the show in the right way. Should Hannah Montana end with season four? Yes! Get it over with. Thankfully for fans, there’s plenty of new episodes on the way before the big series finale. The third season of Hannah Montana will wrap up with a one-hour episode in March. It’s titled “Is Miley Saying Goodbye?” and Miley makes her big decision; to continue being Hannah Montana or to just be a regular girl. Season four will pick up the storyline in late spring and will revolve around the ramifications of Miley’s big choice. Film actor Ray Liotta will guest star in the season opener and Two and a Half Men’s Angus T. Jones will guest star in a later episode. The season and series will wrap up with a special one-hour series finale. It’s unknown when that will air but new episodes are expected to roll out over at least the next year. What do you think? Are you sorry that Hannah Montana is coming to an end or do you think they’re making the right decision? Hannah Montana: Miley Cyrus Series to End — No Season Five? are u kidding yes hannah montana should stay on tv forever. i don`t want Hannah Montana to end i love it so much plus i have watched the 4 season`s they did do like 50 times and i want season 5 so i could watch it i love Hannah Montana she i mean i THE SHOW HAS TO GO ON i mean i am in 5th grade and i love Hannah Montana all my friends say i am a baby because i watch it but i don`t care!!!! I NEED HANNAH MONTANA TO GO ON POSSIBLY FOREVER!!!!!!!!!!!!!!!!!!!!!!!!!!!!!!!!!!! !